"The Best Product Awards for excellence go to companies whose innovative products contribute significantly towards rationalisation, cost-savings and increasing productivity in intralogistics." That's the wording in the official documentation for the renowned BEST Product Awards, which are presented each year at LogiMAT, on the first day of the fair. This year, too, a seven-strong independent jury of experts carefully examined all the entries ahead of the show and chose the winning products in the categories of "Procurement, handling, storage", "Order picking, packaging, protection" and "Software, communication, IT". The laudatio was given by the jury chairman, Prof. Dr.-Ing. 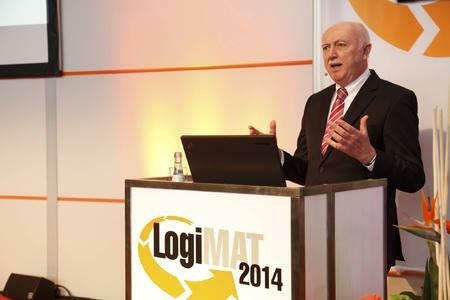 Willibald A. Günthner, Chair for Material Handling Technology, Material Flow and Logistics at the Technical University of Munich, as part of the official opening of LogiMAT, on the first day of the show. In the category "Procurement, handling, storage" the winner was Eisenmann Anlagenbau GmbH & Co. KG, for its double-runner system. This is a driverless transport system for handling pallets; it consists of two runners, similar to a fork-lift, but the runners are not connected mechanically to each other. These communicate electronically with each other and can drive independently with loads. With a self-weight of less than 100 kg, they can cope with loads of up to one tonne, via rotational movements of the four drive units. Equipped with optical sensors and controlled from a central computer, these twin runners can move at a speed of up to one metre per second via an optical track-guidance system. The drive axles are freely movable in all directions, so that the system needs only a minimum of manoeuvring space and narrow aisles. All the drive and control components and the energy supply are integrated compactly in both transport runners. The double-runner system ushers in a paradigm shift in intralogistics, away from heavy, expensive and stationary machines towards more compact, flexible and efficient technology. This solution offers high flexibility and can be quickly adapted, via easy retrofitting or extension, to new requirements. In the category "Order picking, packaging, protection" the winner was Ehrhardt + Partner GmbH & Co. KG for its new development, "Voice Integrates RFID (VIR)". This combines all the advantages of pick-by-voice and RFID in one order-picking technology. The results: up to 80% shorter set-up times for multi-order picking, a reduced error rate and simpler container management. The hardware needed for VIR consists of a conventional pick-by-voice talkman, supplemented with an RFID reader. Both are carried on the belt of the picker. When order-picking with VIR, the containers are given an RFID tag, which makes them uniquely identifiable. With the new VIR technology, voice-activated entry is replaced by automatic identification of the RFID container labels, via an RFID scanner. The advantages of pick-by-voice are thus retained: the employee has both hands free and can concentrate on his core task. Also, the unique RFID identification ensures each container can be tracked, including in despatches, and it guarantees traceability. The loss quota is thereby notably reduced. 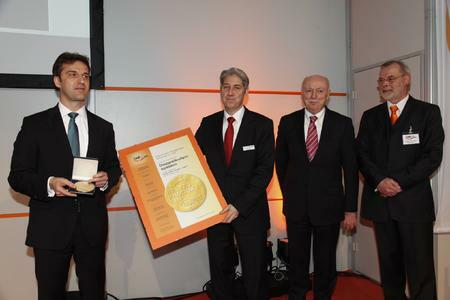 In the category "Software, communication, IT" the winner was Heidler Strichcode GmbH, for its product "PalletCube". This innovation, featuring special infrared cameras, is used for measuring pallets of any shape. With its space-saving fitting to walls or ceilings, the PalletCube does not get in the way of work processes. As soon as an object is deposited or arrives in the measurement area, PalletCube automatically identifies the perimeters of the object and, depending on its size, it calculates the dimensions and the loading meters in about 500 milliseconds. In logistics, because of limited loading space and loading capacity in aircraft, vehicles and ships, it is ever more important to calculate forwarding tariffs not only according to weight, but according to volume. In order to guarantee that the ideal places will be found in the warehouse and to maximize space utilisation, it is essential to identify volumes. The three winners of the Best Product Awards 2014 are exemplary of many other products and solutions on show at the stands of the exhibitors at LogiMAT 2014, on 74,000 square metres of space in six exhibition halls. Munich, 25.02.2014 - Reproduction free of charge. 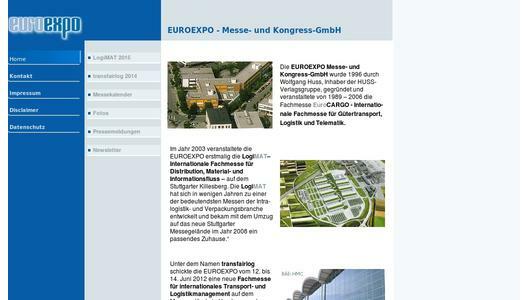 Copies of publication to: EUROEXPO GmbH, Presse- und Öffentlichkeitsarbeit, 80912 Munich, Germany. 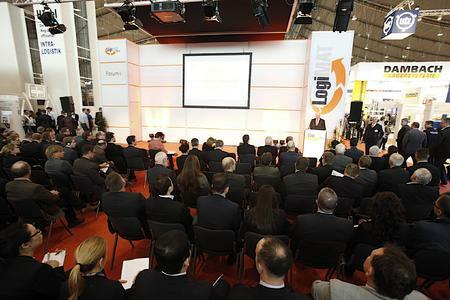 The 'Best Product' Award was launched ten years ago by the organiser of LogiMAT, as a way of highlighting the achievements of its exhibitors, many of which are small and medium-sized companies. However, the main focus of these awards is not size, but quality. The winners benefit from being able to use the award in the marketing of their products and solutions. Well known companies and the media are supporting the award, as partners. The winners of the competition receive a plaque and a certificate. Prof. Dr. .-Ing Rolf Jansen; Institut für Distributions- und Handelslogistik (IDH) des VVL e.V.